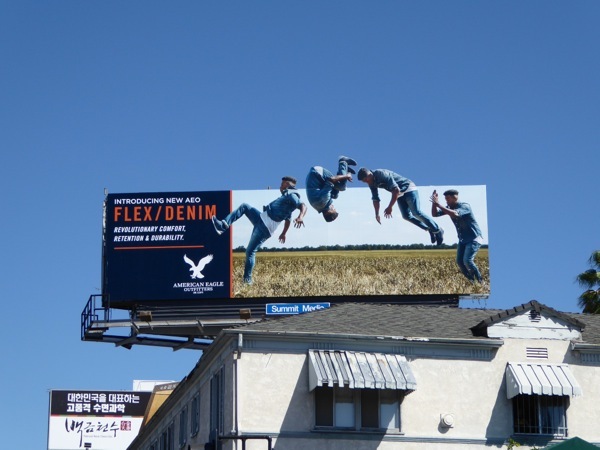 Sometimes an ad creative comes along that has you jumping for joy. 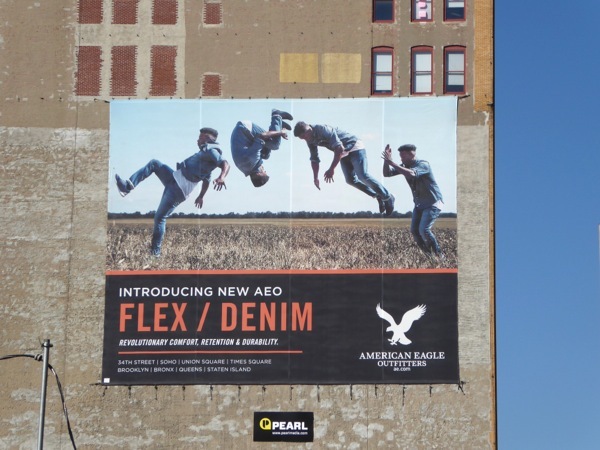 On this occasion it's one of Daily Billboard's favourite fashion ads of the Summer, this somersaulting billboard from American Eagle Outfitters. 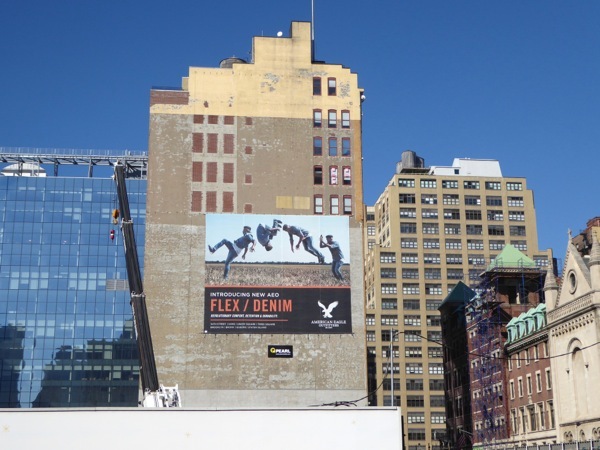 Clothing and apparel brand ads are often made for the pages of fashion magazines, but this AEO Flex/Denim ad was obviously made to jump off the page and into the city skyline. Parkour athlete Paul Joseph is the acrobatic model making somersaults in a cornfield and showcasing the comfort and flexibility of the jeans. 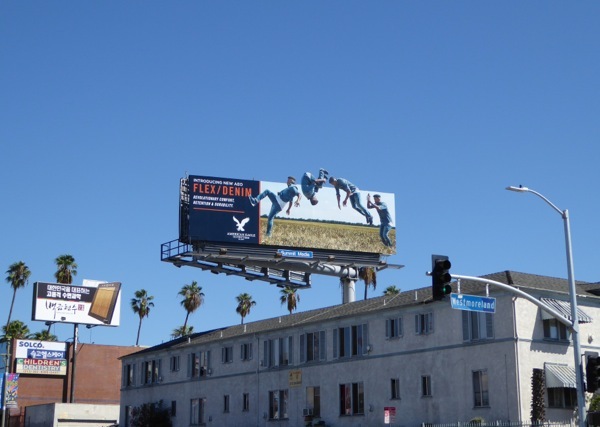 The special extension billboard is especially captivating and was spied along Olympic Boulevard at Westmoreland Avenue in L.A. on September 13, whilst the square billboard was snapped along West Hollywood's busy Sunset Strip on August 15. 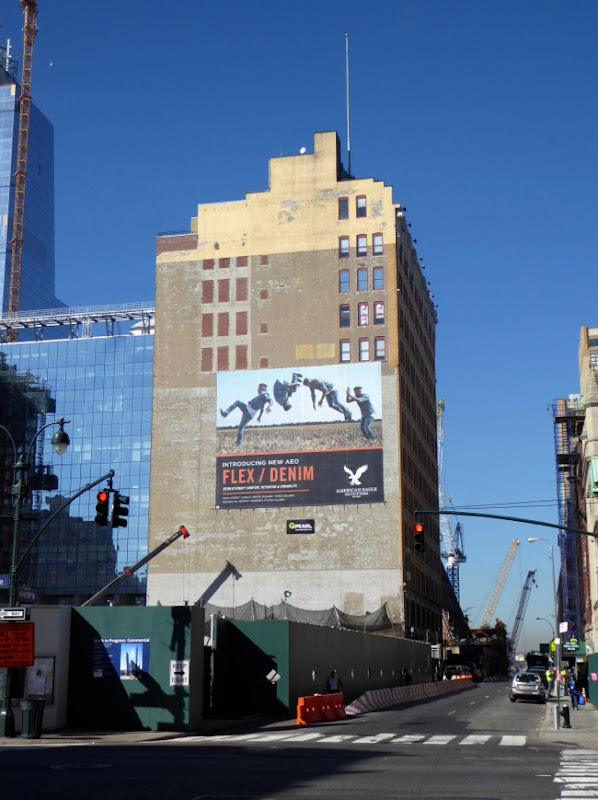 Meanwhile another super-sized version of this ad was photographed causing a spectacle along 9th Avenue and 33rd Street in New York City on November 3, 2015. 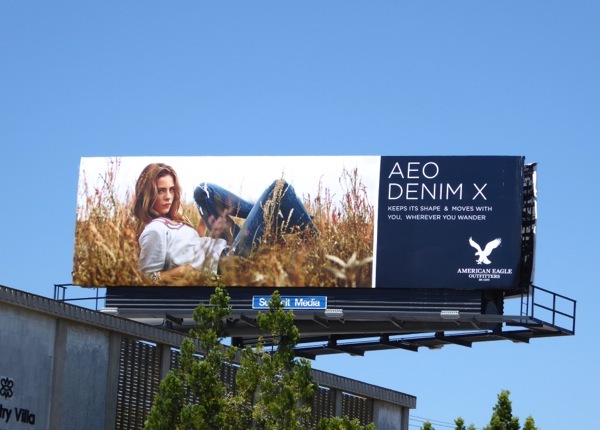 In addition the American Eagle Outfitters logo billboard was spotted on the side of The Roxy along the Sunset Strip on August 1, whilst a more relaxed womenswear AEO Denim X billboard was snapped along Pico Boulevard on August 12, 2015. 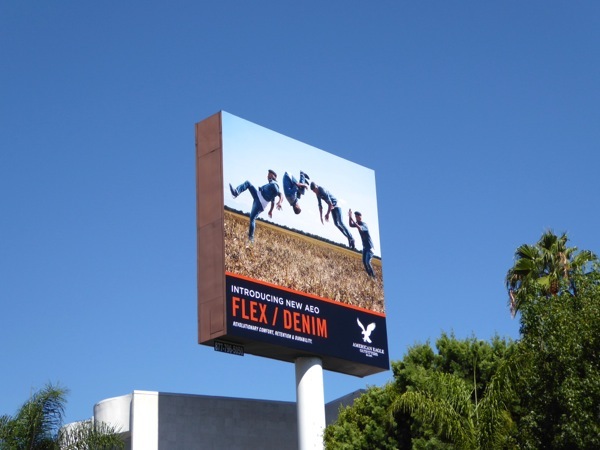 You don't often see fashion brands using gimmicks like special extensions to help their outdoor ads stand out, so that's why this example really catches your eye. 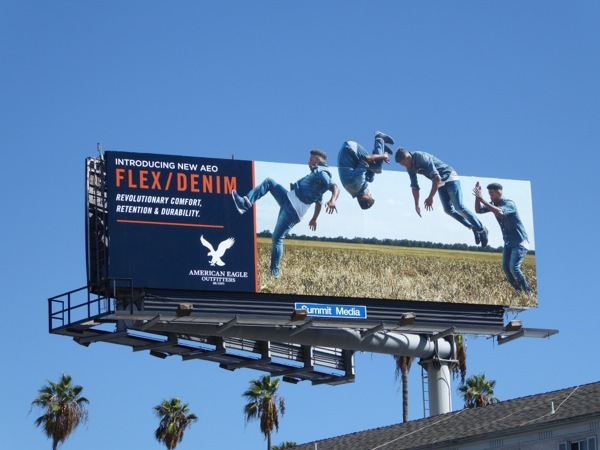 If you like this dynamic AEO ad creative, then you'll also like this special extension Perry Ellis backflip billboard which employed a similar visual trick. Hopefully this joyful billboard has put a spring in your step today as the days are getting shorter and the weather becomes more wintery.